How to be global and highly competitive maintaining values? How to transmit them in a highly international growing context? How to grow further without forgetting our main asset: the employees? To answer these questions, it was created Leading the Change, the committment of Gonvarri Steel Industries and Gestamp Renewables to change the corporate culture, to focus it on to a working method based in the Corporation 2.0 and placing our employees at the centre of it. On June 21, 2012 we wanted to meet all the employees to set up with them the road to change. From that very moment, they have the leading role in our history. It is a change thought by and for them, so they can keep growing in a team, feel as the driving force for change and development of society. Thanks to them, their conviction and their attitude as prime movers concerned about the project from the first moment, all the organization has felt the need and advantages of the change. In that moment, that Thursday of June we told them: “Now, you”. Because of that, all our personnel could talk, ask and take part of a change that was being created from long time ago. As an Spanish firm that has chosen internationalization, our people is our more valuable asset and that is why we want them to feel proud of belong to it. In order to achieve this, we stablished pillars: innovation, communication, involvement, team, knowing that only if we could implement them in our daily life we would achieve a necessary change. We are also conscious that it cannot only say that we are socially responsible, it also necessary to report and show all we do to be like that. Only working this way we will be able to continue leading the change. We know that leading the change is a matter of attitude, values, commitment. Leading the change is a common matter. Our employees understood out commitment and decided to work with us on the future as a real choice. 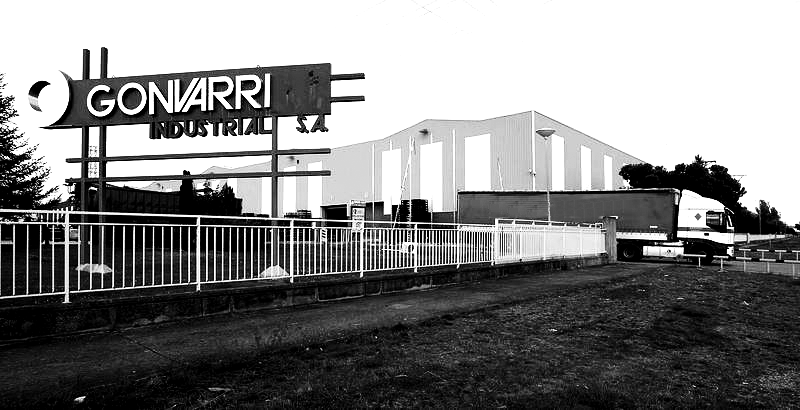 This is how Leading the Change was created, the commitment of Gonvarri Steel Industries and Gestamp Renewables to grow, changing the company’s culture and turning into highly competitive companies, in a global and complex environment. To achieve this, the culture of all the organization has been focused on a working method based in the Business 2,0 concept, in which the innovation may be transversal in all the daily work and with a benchmark that determines absolutely all the project: the people. All the management works along the organizational change and acts as a driver of the project, transmitting to the rest of the organization the need and advantages of itself. The project aligns with the need of the Group’s business plan, aiming to update the working method in order to make faster, more flexible and productive the cooperation between employees. Marketing and Communications and Human Resources departments have lead the project, always bearing in mind the needs of all the company’s areas. In order to involve the employees, it was created the “100 Promotors” project that identified the intern early adopters and connected with the promotion of the project. The project, pioneer in the sector in Spain, revolves around an internal social network, on which it is developed an ecosystem of virtual working groups, an environment of thematic blogs and a microblogging platform, among other services. All this converges in a new Intranet structured around people, the company’s employees, instead of doing it around the documents and processes. Gonvarri Steel Industries and Gestamp Renewables project, which has the AENOR certificate recognizing it as technological innovation project, proves that the starting point that absolutely determines any success is always the same: the people.